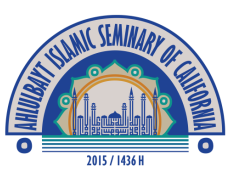 Ahlulbayt Islamic Seminary of California (AISOC) is an independent educational organization that was established in 2015/1436AH under the supervision of Dr. Sayed Moustafa al-Qazwini. ​AISOC serves to educate men and women in the Islamic seminary (hawzah) teachings according to the school of Ahlulbayt with courses in Qur'anic studies (Ulum al-Qur'an), Hadith studies (Ulum al-Hadith), Theology (Aqa'id), Jurisprudence (Fiqh), Legal Theory (Usul al-Fiqh), History, Logic (Mantiq), Comparative Theology, Ethics (Akhlaq), and Arabic language and grammar. AISOC seeks to provide essential and relevant Islamic seminary education to all who are interested in gaining a deeper understanding of their Islamic tradition according to the school of Ahlulbayt. Whether you are interested in learning for personal education, or are interested in taking up a position of leadership and education of the American Muslim community, you are highly encouraged to apply to our program. Courses are held at the Islamic Educational Center of Orange County in Costa Mesa, California.